The Finance Act,2015 has come into effect from 14/05/2015.The new liberalized scheme on penalties under section 76 and 78 has been made applicable to all pending SCNs in Service tax matters and no order has been passed,till this date.The newly inserted section 78B,in the Finance Bill,2015 had specifically clarified this. “78B. (1) Where, in any case,–– (a) service tax has not been levied or paid or has been short-levied or short-paid or erroneously refunded and no notice has been served under sub-section (1) of section 73 or under the proviso thereto, before the date on which the Finance Bill, 2015 receives the assent of the President; or (b) service tax has not been levied or paid or has been short-levied or short-paid or erroneously refunded and a notice has been served under sub-section (1) of section 73 or under the proviso thereto, but no order has been passed under sub-section (2) of section 73, before the date on which the Finance Bill, 2015 receives the assent of the President, then, in respect of such cases, the provisions of section 76 or section 78, as the case may be, as amended by the Finance Act, 2015 shall be applicable. 2. The crucial aspect that the above provision envisage a short term amnesty as per the newly revised sections 76 and 78,in respect of all the pending SCNs appears not to be properly acknowledged . At least, in respect of genuine demands involved in the SCNs ,the assesses can get the proceedings closed, on payment of the service tax and interest within 30 days from 14/05/2015. 3. 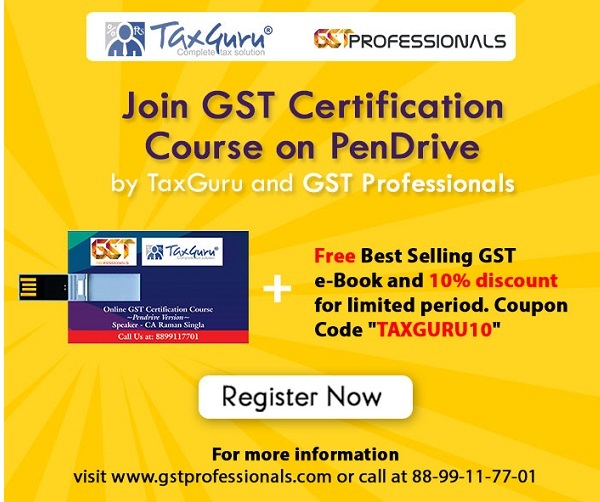 As all aware by now, the newly introduced sections 76 and 78 has been streamlined and an attempt has been made to simplify the proceedings, taking away the discretionary powers on imposition of penalty, in respect of the SCNs issued under section 73.The amended section 76 envisage that, where the service tax and interest is paid within thirty days of receipt of the SCN issued under sub section (1) of section 73 , the proceedings in respect of SUCH service tax ,interest and penalty shall be deemed to be concluded. and no penalty shall be payable. Similarly, in the cases of SCNs issued under the proviso to subsection (1) of Section 73,,the proceedings as per section 78 shall be deemed to be concluded ,if the tax ,interest along with 15% of SUCH service tax is paid within 30 days of receipt of the SCN. 4. Now as per the newly inserted section 78B(2),quoted above, it is made explicitly clear that in respect of all the pending SCNs, the period of THIRTY days would reckon from 14/05/2015.In other words, the proceedings as per the SCNs will be deemed to be concluded ,if the payments of service tax and interest (also penalty of 15% in suppression cases ) as above are made within 12/06/2015.This may appear to be a welcome gesture by the Department. But there are certain grey areas in the scheme of things, which would equally be applicable for all future cases ,where the SCNs are yet to be issued. 5. Firstly, a doubt will arise as to whether this will be applicable only in cases where the entire amount as demanded in the SCN is paid. Since the demands are issued without any rhymes or reasoning on an inflated value as quoted by Audit etc., there is bound to be a difference between the tax payable and demanded .In majority of the cases, the assesses may be willing to pay the admitted liability and not the full amount involved arbitrarily mentioned in the SCNs. To cite a specific example, in a case where the demand has been issued ,even without applying the abatement formula as per section 67(2),whether the amnesty will be applicable to the admitted liability applying section 67(2) is paid and so intimated to the department. As per the wordings which emphasise the word SUCH service tax paid, and there is no mention that the service tax demanded in full as per the SCN is to be paid, the amnesty should be made available to the extent of tax ,interest and penalty (wherever applicable) paid within THIRTY days. 6. Again, since there is no discretion as it existed under section 80 (which stands omitted from 14/05/2015),the attitude of adjudicators whether to allow the amnesty on the service tax already paid within 30days become very crucial. It appears that there should be a specific clarification on this aspect. It is pertinent to note that in the erstwhile provisions under section 73(4A),there was provision to pay the admitted liability and for adjustment of the tax so paid any time before the issue of SCN and informed the dept. in writing, then the SCN was not to be issued for the said amount ; and the adjudication order was to be issued with the penalty to the reduced quantum of outstanding dues as per the confirmed demand. This provision of section 73(4A) stands omitted now from 14/05/2015.Of course, this also was never followed in practice and the SCNs were issued for the entire amount including the tax paid and then adjudicate confirming the whole amount ,impose equal penalty and finally appropriate the already paid amount towards the confirmed demand. 7. Even now, section 73(3) prescribes that no SCN shall be issued on any amount of self assessed service tax paid any time before the issue of the SCN and thus the demands can only be issued for the net short payment, if any. Strict compliance to the provision under 73(3) in the matter of issue of SCN and further the abatement for the amount paid within 3o days of receipt of the SCN ,should be insisted through specific clarification .Then, and then only ,the desired objective of this liberalized policy would be an effective relief to the genuine cases of short payment of the service tax. 8. Before parting, similar amnesty is envisaged for Central excise duty also through the specific Explanation -1.inserted as per section 94 of the FA,2015 under section 11AC of the Central Excise Act,1944 .In Customs Act,1962 also, as per section 82 of FA2015,specific Explanation 3 has been inserted under section 28 on the same lines. @ manish,14th being Sunday,chance could have been taken for 15th as well.. The other aspects of applicability of part payment made in future and SCNs to be issued ,will need clarification..
Good article explaining the transitional period provisions, but 14/06/2015 is expired.